DEVENEY recently hosted a gathering of clients, local partners and friends to celebrate our evolution as an engagement agency and provide further insights and explanation of how we work. The night was a success, and this is easily attributed to our engagement process, which was used to coordinate the “Wonky” bash. 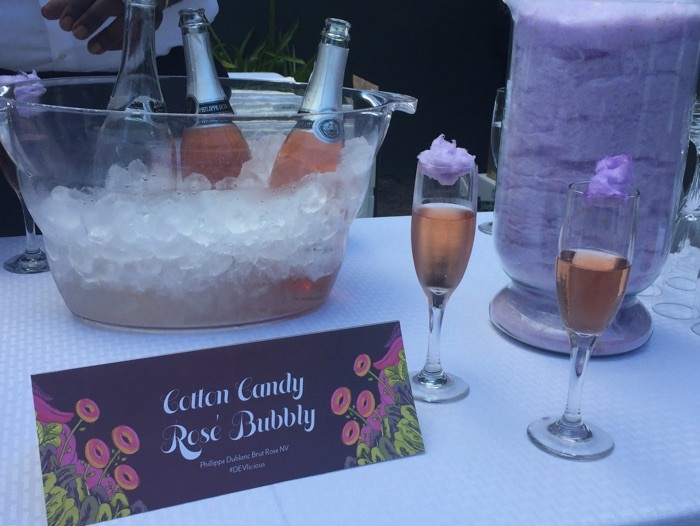 From cotton candy bubbly and boozy gummy bears to informational riddles and themed culinary stations, there were four key steps to creating DEVENEY’s engaging event. When DEVENEY relaunched as an engagement agency in June, not all of our clients truly understood what that actually meant. Our recent event was designed to take our clients and partners on a first-class journey through an engagement agency. Guests could cash in last year’s golden ticket from the holiday gift to gain access to the VIP tour. Like any project, an engagement brief was the first step to ensure no detail was missed. We knew we wanted to engage our guests at every opportunity, beginning with the invitation. To do so, the team developed a User Experience Strategic Plan that detailed every touchpoint and explained how each piece would build upon the next to help reach our end goal – educating guests on the power of the engagement agency process. Next, we developed a brand for the event, which was inspired by the whimsy of Willy Wonka’s chocolate factory and the elegance of a first-class experience. Every detail was steeped in this theme, from the invitation and website landing page to the signage and decorations – even the food and drinks. The brand gave the event its own personality and helped entice our guests even further. Per the strategic plan, we developed an e-vite and RSVP landing page. By distributing the invitation electronically, we could track who RSVP’d, who opened but didn’t click through to the landing page, who didn’t open the e-vite, and which emails bounced backs. Our User Experience Strategic Plan included a different response for each of these paths. A digital strategy was also implemented. We knew our guests would be our greatest ambassadors. As such, we encouraged them to post their own content of the party with the #DEVlicious hashtag. We also designed a Snapchat geo-filter available only in our building during the party – another big hit! Our User Experience Strategic Plan outlined a guest flow and interactive game that could best explain the engagement agency process. After picking up a glass of cotton candy bubbly, guests were ushered through the journey. Each room represented a different step of the process – Immersion & Discovery, Strategic Planning, Implementation and Results. With each new step, a new course of the meal – bread & butter, appetizer, carving station and dessert – was introduced. In addition to offering an explanation of its respective step of the process, each room also contained a riddle for guests to solve. By likening our process to that of a dinner, attendees understood the necessity of the progression of steps in a tactile way. Every detail was designed with this in mind. 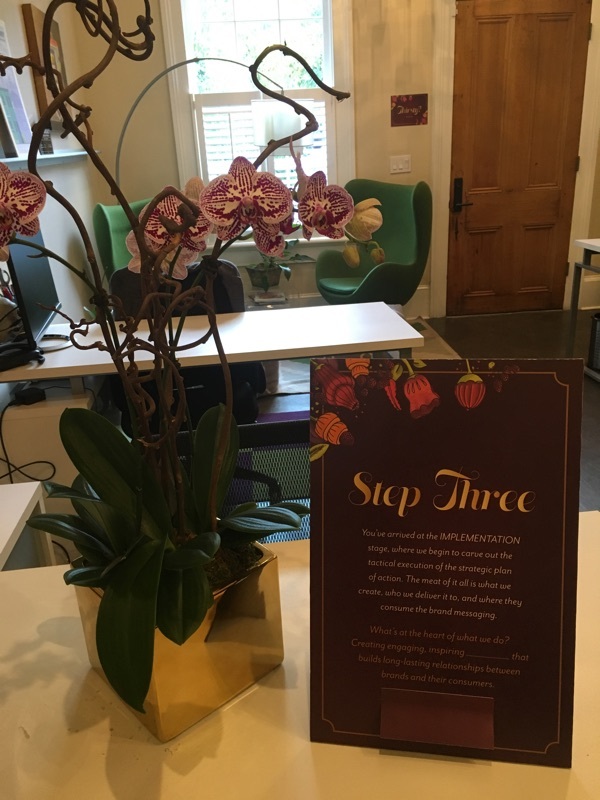 At the end of their journey, guests were greeted with sweet treats (representing sweet results) that further enhanced their engagement agency experience. 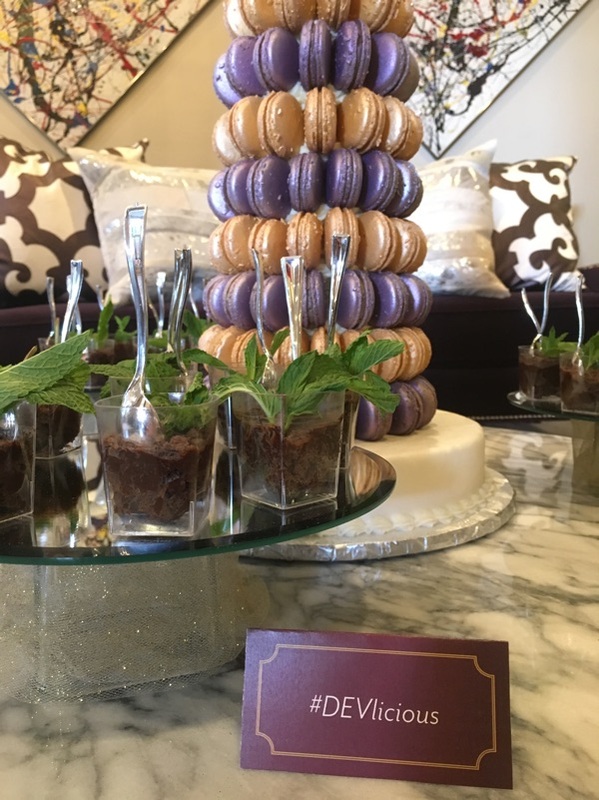 The array of desserts included a large chocolate and wine pairing bar, macaroon tree, gummy bears soaked in sparkling wine, chocolate fountain and more. Our results are in the rave reviews from our guests. Throughout the entire experience – invitation to party favor – they were engaged and enjoyed their experience. About 50 percent of invited guests actually attended, and those that came didn’t want to leave. Since standard attendance for professional events is about 1/3 of those invited, this was a great turnout! Success is measured by achieving your goal, and ours was to educate our visitors on the engagement agency process. DEVENEY team members were stationed in each room to serve as conversation starters and assist with the riddles, which were well-received. Guests were intrigued by the game and genuinely interested in figuring out the correct answers. Nothing like a good brain teaser to go with a ginger glazed shrimp appetizer! Always relying on our process, we are now assessing the event to learn what worked and what didn’t. (We now know that boozy gummy bears are a must have at every event.) But most importantly, we’ve successfully demonstrated to our guests how our engagement agency process works. THANK YOU TO EVERYONE WHO COULD ATTEND. SEE PICTURES FROM THE EVENT ON FACEBOOK.